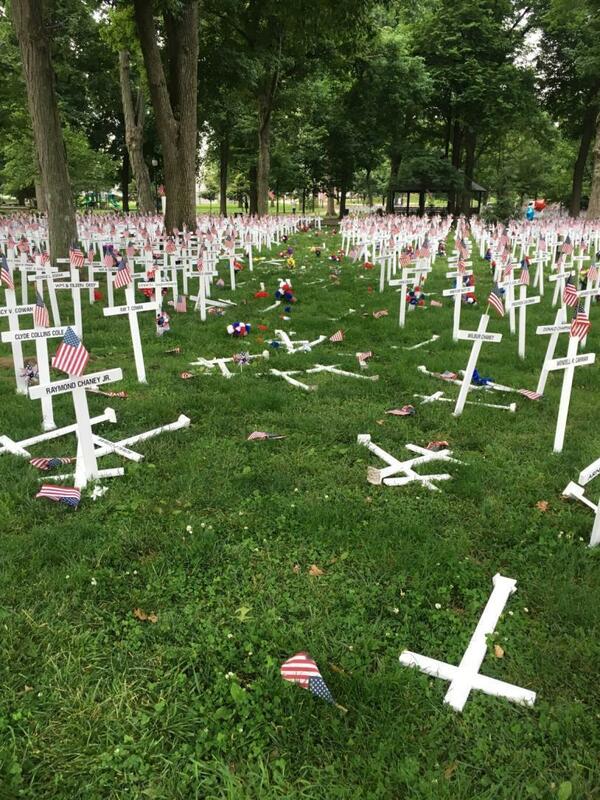 A Memorial Day display of crosses after a vehicle drove through them in Henderson, Ky.'s Central Park on May 28, 2016. The Gleaner reports that Burrus pleaded guilty on Monday to charges of first-degree criminal mischief and leaving the scene of an accident. His sentencing is scheduled on November 21st. A Henderson man will appear in court Wednesday after being charged with vandalizing the city’s Memorial Day display. Police say 27-year-old Anthony Burrus drove his car through a display of more than 5,000 crosses in the city’s Central Park early Saturday morning. Walk through a town square this Memorial Day and you might just see a marker or monument commemorating sacrifice in war. On it: The name of an American who died in combat. 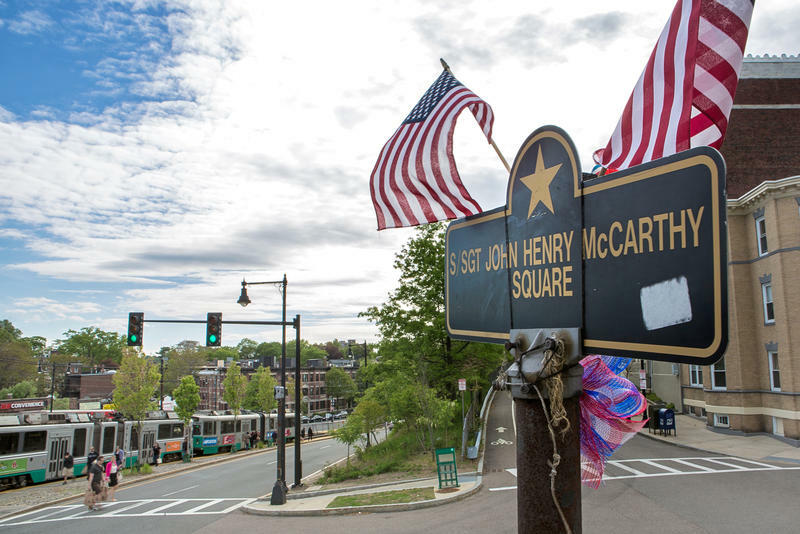 In some parts of the city of Boston, there are markers on nearly every corner.